Знаменитый Авангардный Английский Лэйбл (Newton Abbot), основан продюсером Leo Feigin (см.также Golden Years of New Jazz). Цена на диски оправдано высока (ориентировочно 15-17у.е. в Москве). Диски характеризует прекрасное качество звучания и красивый фирменный дизайн. 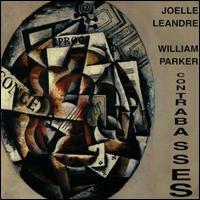 LEOLAB 068 AARDVARK JAZZ ORCHESTRA THE SEEKER 09.09.00 Recorded live on two separate occasions at MIT's Kresge Auditorium in Cambridge, MA, on April 25, 1998, and April 16, 2000. 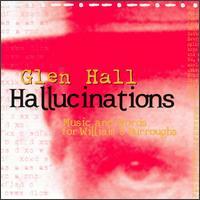 The album is comprised of three pieces composed by the orchestra's leader Mark Harvey. LRCD 365 ACTIS BAND GARIBALDI 08.03.03 Italian avant-garde jazz. 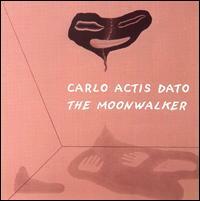 Actis Dato and Massimo Rossi form the horn section and are backed by guitarist Antonio Fontana, bassist (both acoustic and electric) Federico Marchesano, and drummer Dario Bruna. 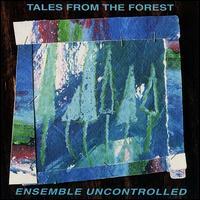 LRCD 228 ADZINYAH / BRAXTON DUO WESLEYAN 1994 14.06.97 2-CD: Improvised duos with the percussionist Abraham Adzinyah. Braxton is never better than when he allows himself the most freedom. LEOLAB 038 ALATI-LELASI-RADAELE-SCIA I'M SUPRISED WHILE IT IS ACTUALLY HAPPENING& 04.06.01 Alati and Lelasi offer swirls of guitar, with Alati also chiming in on toy flute. Lelasi doubles on percussion, complementing the drumming of Radaele, while Sciajno displays monstrous technique on the string bass. LRCD 329 ART ENSEMBLE OF CHICAGO ZERO SUN NO POINT: DEDUCATION TO MYNONA & SUN RA 08.12.01 2-CD: German writer and percussionist Hartmut Geerken receives top billing on this two-CD set featuring his musical involvement with the Art Ensemble of Chicago, recorded live in 1996. 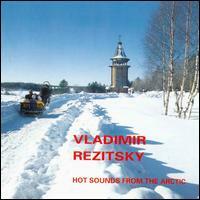 LRCD 181 ASTREJA MUSIC FROM DAVOS 14.06.97 This CD was recorded at the Sixth Davos Festival in Russia. It brought together Sofia Gubaidulina and Victor Suslin with Mark Pekarsky and Valentina Ponomareva for an hour of completely improvised music on Caucasian and Central Asian folk instruments, such as dumbek, kemanchas, recorders, whistles, tars, autoharps, duduk, signal horns, bells of various sorts, and some new instruments from India such as tabla agogo, gopi, Jew's harp, and more. LEOLAB 032 BECHEGAS, CARLOS PROJECTS-IK * Zs (3)/Flute Solos/Movement Sounds 14.06.97 Flute, phenomenal trio that includes violinist Ernesto Rodrigues and percussionist Jose Oliveria. LRCD 324 BENNINK, HAN 21 YEARS LATER (TRAIN KEPT A ROLLIN') 23.06.01 Netherlands drummer Han Bennink and American guitarist Eugene Chadbourne share a similar approach to the live concert, each playing continuous sets of alternating free improv moments and strange renditions of songs from the jazz, pop, rock, and country repertoires. 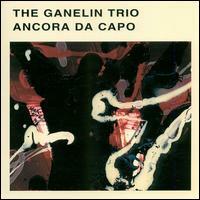 LRCD 269 BRASSERIE TRIO MUSIQUE MECHANIQUE 08.05.99 Italian trio features trumpeter Alberto Mandarini, trombonist Lauro Rossi, and saxophonist Carlos Actis Dato live in concert. LRCD 222/23 BRAXTON, ANTHONY KNITTING FAXTORY (PIANO/ QUARTET) 1994, VOL.1 14.06.97 2-CD: Plays standards by Charles Mingus, Lennie Tristano, and Thelonious Monk, among others. 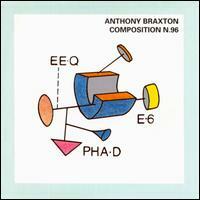 LRCD 367/68 BRAXTON, ANTHONY TWO COMPOSITIONS 1998 08.03.03 2-CD: Recorded live at Wesleyan University on April 17, 1998 - "Composition N. 227" features Braxton with Chris Jonas and David Novak, "Composition N. 228," he is joined by Jackson Moore (clarinet, sax) and Seth Misterka (sax). LRCD 193 BRAXTON, ANTHONY & PARKER, EVAN DUO (LONDON) 1993 10.06.95 "Parkbrax 1-5"
LRCD 242 CHADBOURNE, EUGENE BOOGIE WITH THE HOOK 16.03.97 Banjo, Guitar, Fender Rhodes, Duets with Han Bennink, Derek Bailey, the late Charles Tyler, John Zorn, and others. LRCD 276 CHADBOURNE, EUGENE I TALKED TO DEATH IN STEREO 28.11.99 w/Eena Ballard on electric viola, Joee Conroy on electric guitar and acoustic strings, Steve Good on reeds, and Norman Minogue on theremin and drums. 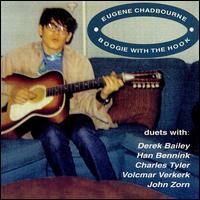 LRCD 293 CHADBOURNE, EUGENE YOUNG AT HEAT/FORGIVEN 05.06.00 2-CD: w/percussionist Paul Lovens plus clips from Bing Crosby, John Wayne, Julie London, and others. LRCD 288 COHN, STEVE BRIDGE OVER THE X-STREAM 20.05.00 Piano and assorted miscellaneous instruments (shakuhachi, hichiriki, shofar, and percussion), w/Reggie Workman on bass (and percussion); Jason Hwang on violin; and Tom Varner on French horn. LRCD 302 COLOMBO, EUGENIO TALES OF LOVE & DEATH 09.09.00 Saxophones and flutes, w/Gianni Lenoci on piano, Ettore Fioravanti on drums, Bruno Tommaso on bass) along with Micaela Carosi, Masha Carrera, and Elisabetta Scatarzi, three classically trained opera singers. 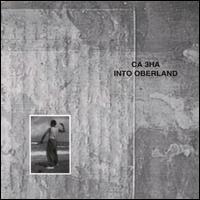 LRCD 371 CONFERENCE CALL VARIATIONS ON A MASTER PLAN 31.05.03 Recorded live by Bayerischer Rundfunk, this concert from March 2001 documents drummer Han Bennink's integration into reedman Gebhard Ullmann's Conference Call quartet. 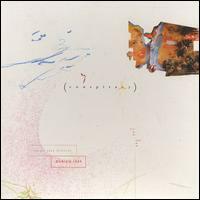 LRCD 170 EXILES STRANDED IN PARADISE 14.06.97 Magical virtuoso improvisational duo of Jay Zelenka and Greg Mills, have released countless recordings of their spontaneous compositional development and their exploration of sound and the world's various musical architectures and instruments. 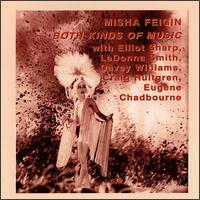 LEOLAB 060 FEIGIN, MISHA BOTH KINDS OF MUSIC 27.11.99 Guitar-like balalaika and classical guitar through - seven jazz duets with Elliot Sharp (dobro), Davey Williams (electric guitar), Craig Hultgren (cello), LaDonna Smith (violin), and Eugene Chadbourne (banjo and guitar). 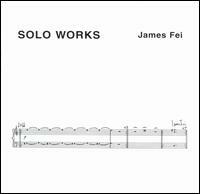 LEOLAB 069 FONDA, JOE & XU FENGXIA DISTANCE 04.11.00 Bass, Vocals, Voices with Xu Fengxia, who plays the guzheng, a traditional Chinese instrument closely related to the Japanese koto. LRCD 260 FONDA-STEVENS GROUP EVOLUTION 04.06.01 Bassist Joe Fonda and pianist Michael Stevens, features new music trumpeter Herb Robertson, drummer Harvey Sorgen, and alto saxophonist/clarinetist Mark Whitecage. LRCD 301 FONDA-STEVENS GROUP LIVE AT THE BUNKER 09.09.00 w/trumpet Paul Smoker and the drummer Harvey Sorgen. LRCD 329/30 GEERKEN, HARTMUT & ART ENSEMBLE OF CHICAGO ZERO SUN NI POINT: DEDICATION TO MYNONA & SUN RA 01.06.02 2-CD: German writer and percussionist Hartmut Geerken receives top billing on this two-CD set featuring his musical involvement with the Art Ensemble of Chicago, recorded live in 1996. LEOLAB 052 GIES, JOACHIM DIFFERENT DISTANCES 08.05.99 Saxophone, w/alto saxophonist Ernst-Ludwig Petrovsky and trombonist Thomas Wiedermann, vocalists Ute DFring and Alex Nowitz (who doubles on live electronics), and cellist Thomas BFhm-Christl. 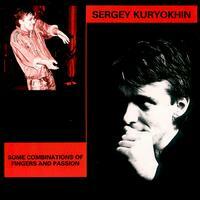 LRCD 268 GUYVORONSKY-PETROVA CHONYI TOGETHER 08.05.99 Unique trumpeter Guyvoronsky is teamed with young accordionist Evelin Petrova for a series of eleven duets that incorporate folk music and jazz in an experimental avant-garde. 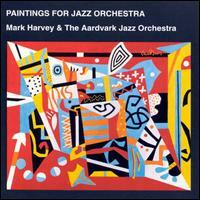 LEOLAB 014 HARVEY, MARK & AADVARK JAZZ ORCHESTRA PAINTINGS FROM JAZZ ORCHESTRA 14.06.97 Unique combination of jazz and classical styles come from Duke Ellington and Charles Ives. 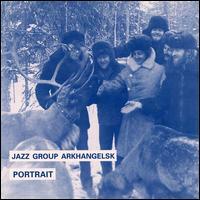 LRCD 180 JAZZ GROUP ARKHANGELSK PORTRAIT 14.06.97 1991 Recordings, Vladimir Rezitsky, Nikolai and Oleg Yudanov, Nickolai Klishin, and Vladimir Turov on a still healthy array of accordions, percussion instruments, woodwinds, strings, and a Roland S-330. LEOLAB 004 KUNIOSHY/LAMBERT/MOSS ARP MUSIC 14.06.97 Japanese pianist Akemi Kuniyoshi with reedman Paul Moss and percussionist Russell Lambert. LEOLAB 011 LOKOMOTIV KONKRET KEIN ABER 14.06.97 Swedish free jazz skronk trio: Dror Feiler on reeds and live electronics; Tommy Bjork on drums and a million percussion instruments; and Soren Runolf on electric guitar, cello, and synthesizer. LRCD 299 LOPEZ QUARTET, RAMON SONGS OF THE SPANISH CIVIL WAR 04.11.00 Paul Rogers - Double Bass/ Ramon Lopez - Drums/ BeAat Achiary - Vocals/ Daunik Lazro - Sax (Alto), Sax (Baritone): traditional Spanish repertoire and were associated with the 1936-1939 war. 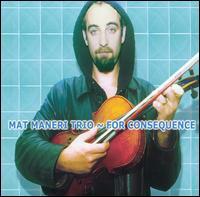 LRCD 307/08 MANERI TRIO, JOE THE TRIO CONCERTS 17.11.01 2-CD: Live-Joe Maneri on alto and tenor sax, clarinet, and piano; Mat Maneri on electric six-string violin, baritone violin, and viola; and Randy Peterson on drums. 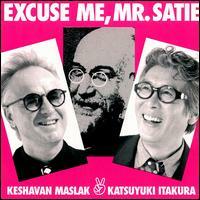 LRCD 199 MASLAK, KESHAVAN EXCUSE ME MR SATIE 14.06.97 American clarinetist Keshavak Maslak (aka Kenny Millions) and Japanese Katsuyuki Itakura (on reeds and piano, respectively) have taken a substantial portion of short compositions by Erik Satie, transposed them for piano and soprano saxophone or clarinet. LRCD 177 MASLAK, KESHAVAN MOTHER RUSSIA 14.06.97 Traveled to the Soviet Union in 1989, and while there toured the country, performing solo concerts for virtual handfuls of people and playing with Soviet musicians as well. 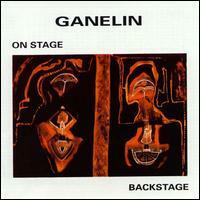 These included pianist Misha Alperin, drummer Vladimir Tarasov (from the then-intact Ganelin Trio), and reedist Anatoly Vapirov. 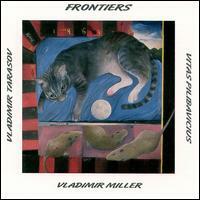 LEOLAB 016 MILLER/PILIBAVICIUS/TARAS FRONTIERS 14.06.97 This 1994 one-off meeting of British pianist (of Russian descent) Vladimir Miller, legendary Russian drummer Vladimir Tarasov (of the Ganelin Trio), and Lithuanian trombonist Vitas Pilibavichus was recorded at a theater in Vilnius, Lithuania, in 1995. 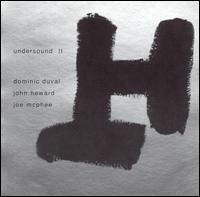 LEOLAB 008 MORRIS, JOE ILLUMINATE 14.06.97 Quartet date pairing alto saxophonist Rob Brown with guitar madman Joe Morris dates from 1993 with William Parker, the ubiquitous New York bassist in the avant-garde, and the lesser-known, but very able drummer Jackson Krall. 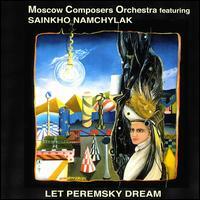 LEOLAB 035 MOSCOW COMPOSERS ORCHESTRA LET PEREMSKY DREAM 04.06.01 Features master drummer and percussionist Vladimir Tarasov from the original Ganelin Trio), Tuvan vocalist Sainkho Namchylak uses her instrument to color, narrate, streak through, and elevate her backing musicians. LEOLAB 005 MOSCOW COMPOSERS ORCHESTRA KINGS & CABBAGES 14.06.97 Moscow Composers Orchestra performs a four-part suite by its conductor Vladimir Miller. LEOLAB 019 MOSCOW COMPOSERS ORCH AN ITALIEN LOVE AFFAIR 14.06.97 Moscow Composer's Orchestra led by the incomparable Vladimir Miller and featuring ex-Ganelin Trio drummer Vladimir Tarasov and, of course, Tuvan vocalist Sainkho Namchylak. 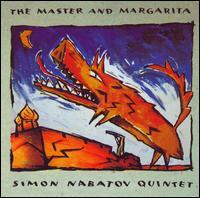 LRCD 322/23 NABATOV QUINTET, SIMON MASTER & MARGARITA 01.06.02 2-CD: Piano w/violinist Mark Feldman, trumpeter Herb Robertson, and longtime rhythm section colleagues Mark Helias (bass) and Tom Rainey (drums). 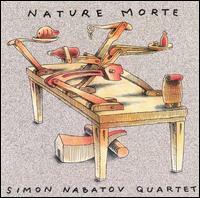 LRCD 358 NABATOV, SIMON PERPETUUM IMMOBILE 31.05.03 The influences are myriad, and some of the names are inscribed artfully on the cover: Rachmaninoff, Stravinsky, Schnittke, Messiaen, and Stockhausen, among others. LEOLAB 023 NAGEL, MAX DAILY BULLET 14.06.97 Phenomenal saxophonist who has played with everyone from Peter Brotzmann to Franz Koglmann. In this setting, he teams with guitarist Burkhard Stangl (also from the Koglmann band), Wolfgang Reisinger on drums, pianist Josef Novotny, and vocalist and guitarist Jonathan Bepler. LRCD 234 NEWTON/HORSTMANN/ROTHBRUS TRIO L.T.D 14.06.97 Includes an appearance by a much younger special guest, trombonist and singer Bertl Mueller. LRCD 337 NEWTON/LEANDRE/LEIMGRUBER OUT OF SOUND 02.02.02 Recorded in a German studio on March 16, 2001, this album presents a collection of short improvisations dealing with the grey area where silence and sound meet, where music still takes an undefined shape, although not completely immersing itself in microsound aesthetics. LRCD 221 NEWTON/TUCHMANN/MOERTH/ MUETTER TIMBRE 27.04.96 Combining medieval polyphony, plainchant, improvisation, spontaneous composition, and asymmetrical approaches to both timbre and harmony. LEOLAB 006 NICOLAI, GIANCARLO BERNER CLARINET ENSEMBLE 14.06.97 w/ensemble of six clarinets (three standard pitch as well as alto, bass, and double bass), vibes (Regula Neuhaus, who also sings), two acoustic guitars (Bruno Knur and Xa Schupisser), and electric guitar (Pascal Flammer). 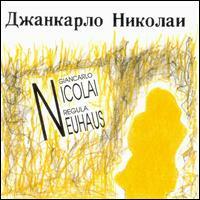 LRCD 184 NICOLAI, GIANCARLO DUO WITH REGULA NEUHAUS 14.06.97 Duo recording by guitar genius Giancarlo Nicolai and vibra-harpist, singer, and percussionist Regula Neuhaus is a series of 14 spontaneous compositions (to borrow a term from Misha Mengelberg). 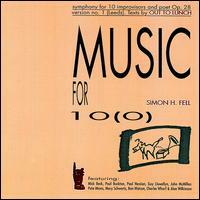 LRCD 127 NICOLS, MAGGIE & PETE NU NICOLS 'N' NU 14.06.97 Various possibilities of microtonality between the piano and human voice. LRCD 163 PAPADIMITIOU, SAKIS PIANO ORACLES 14.06.97 This CD, which is a reissue of the LP "Piano Oracles" and the B-side of the album "First Move" were recorded in both studio and performance. LRCD 239 PARKER PROJECT, EVAN SYNERGETICS: PHONOMANIE 3 23.03.97 2-CD: w/American trombone legend George Lewis, Korean vocal enigma Sainkho Namchylak, Bill Vecchi, and Walter Pratt on various electronics. LRCD 212 PARKER, EVAN 50TH BIRTHDAY CONCERT 14.06.97 2-CD: on disc one with Alex von Schlippenbach and percussionist Paul Lovens, and on disc two with his usual trio of bassist Barry Guy and percussionist Paul Lytton. 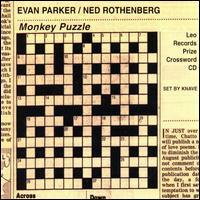 LEOLAB 018 PARKER, EVAN GHOST IN THE MACHINE 14.06.97 This 1993 recordings featured British saxophone and improvisation god Evan Parker with Copenhagen's Ghost-in-the-Machine trio and Martin Klapper on electronics. This traditional quartet saxophones, bass, drums, and piano added Klapper to extend the sonic possibilities of all the instruments, which were amplified by microphones, in order to create a further abstraction. LRCD 255 PARKER, EVAN LIVE AT LES INSTANTS CHAV 23.05.98 Sax (Soprano), Noel Akchote on amplified guitar, Lawrence Casserley on signal processing instruments, and Joel Ryan on computer. LEOLAB 049 REMOTE VIEWERS LOW SHAPES IN THWE DARK 04.06.01 Mutated version of the World Saxophone Quartet; the Remote Viewers are Adrain Northover on soprano and alto saxophones, Louise Petts on alto saxophone, voice, and synthesizer, and David Petts on tenor saxophone and synthesizer. LRCD 342 REMOTE VIEWERS MINIMUM PROGRAMME OF HUMANITY: SUNG WORDS OF BERTOLD BRECHT 18.05.02 This repertoire, a cycle of songs based on pages from Brecht's Poems 1913-1956, was composed in 1998 for Louise and David Petts' duo B-Shops for the Poor. LEOLAB 063 REMOTE VIEWERS OBLIQUES BEFORE PALE SKIN 27.11.99 Saxophonists Louise on alto, David Petts on tenor, and Adrian Northover on alto and soprano. LRCD 067 REMOTE VIEWERS PERSUASIVE WITH ALIENS 10.06.00 David and Louis Petts are joined by Adrian Northover's soprano sax, and the full sound belies the small number of performers. LRCD 362 SCHEYDER, PATRICK SOLO PIANO II 08.03.03 Combined influences of a cross section of composers from Bach to Satie. 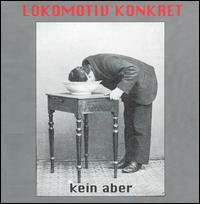 LRCD 809 SOVIET JAZZ FESTIVAL CONSIRACY, ZUERICH 1989 14.06.97 4-CD: Document of a historic jazz festival held in Zurich. Susanna Tanner of the Zurich Jazz Festival took advantage of the early years of glasnost and assembled a seven-day festival of Soviet jazz in Zurich in 1989 - Leningrad duo of Vladimir Volkov and Vyacheslov Guyvoronsky, the Tarasov/Vapirov/Sayfoolin trio, Slava Ganelin, Mika Markovich, Aziza Mustafa Fade, Tri-O, the Vladimir Chekasin Quartet, Snow Children, Valentina Ponomareva, and the Anatoly Vapirov Big Band. 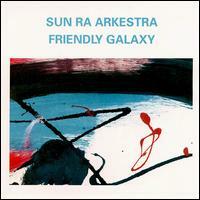 LRCD 235 SUN RA ARKESTRA STARDUST FROM TOMORROW 14.06.97 2-CD: typical late '80s live date for the Arkestra, as it gives a decent overview of what the band could do: a little Fletcher Henderson, a little Duke Ellington, some Ra originals, some space chants, and some conducted improvisation flowing seamlessly from one tune to the next. Both Michael Ray and Marshall Allen are in fine form on this date, with Allen shining especially bright on "Prelude to a Kiss." LRCD 227 SZEMZO, TIBOR TRACTATUS (1991-1995) 14.06.97 Hungarian Tibor Szemzo is an anomaly among late century composers of "new" music. LRCD 319 TAKASE, AKI LE CAHIER DU BAL 23.06.01 Pianist Aki Takase's first solo album, "Le Cahier du Bal" was recorded over two days in a Berlin studio. The 15 short pieces (six minutes and under) were improvised, but all follow a similar direction or mental preparation: the musician was thinking of dancer Anzu Furukawa, fingers trying to emulate her moves. LRCD 162 TAYLOR, CECIL TZOTZIL/MUMMERS/TZOTZIL 31.05.03 Leroy Jenkins on violin, William Parker on bass, Thurman Barker on marimba and drums, Carlos Ward on reed, and, of course, Taylor on piano. LEOLAB 042 TRIO ALLIANCE GANELIN-VYSNIAUSKAS-GOTES 23.05.98 Live performances featuring keyboardist Ganelin, saxophonist Petras Vysniauskas, and percussionist Arkadi Gotesman. 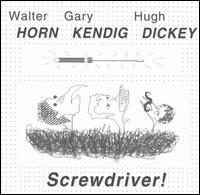 LRCD 305 V/A 2 X 3 = 5 24.02.01 Trios of Parker/Schlippenbach/Lovens and Parker/Guy/Lytton, each of which groupings has performed on innumerable occasions, and some of which are documented on some extraordinary albums. 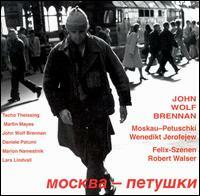 LRCD 355 V/A MOMENTUM 3 02.11.02 Pianist John Wolf Brennan and drummer Christian Wolfarth are on a winning streak.